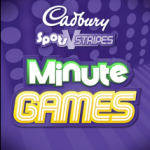 As London is preparing for the Olympics, the amount of high sugar foods (and drinks) that claim links with the games seems to grow exponentially. From Mark Ronsons “The Beat” Olympic song (thanks to a fizzy drink, note: it’s the original, red, full sugar version featured in the video! 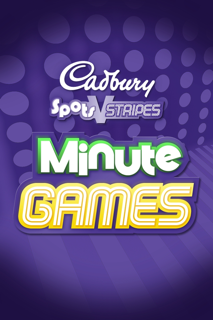 ), the golden arches sponsoring the games itself – and jumping onto the bandwagon of the sport and fitness movement is Cadbury – another Olympic sponsor proudly announcing that the Stripes vs Spots campaign made 900.000 people participate. 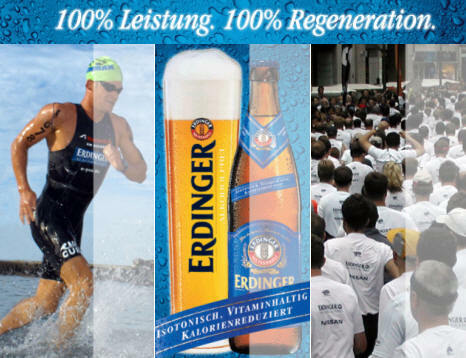 And in Germany, Erdinger Beer (in small print: the alcohol free version) is even proudly marketing itself as an isotonic, regeneration drink for sports(wo)men. Well – let’s face the facts: neither of these brands can claim convincingly healthy products – in fact, it’s all too similar to the familiar “greenwashing” technique used to market anything from airplanes to cars as “environmentally friendly”. 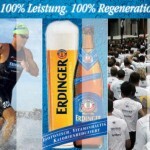 I wonder if it isn’t time to honour their attempt to sell unhealthy foods by linking them to healthy activities in a similar vain: Let’s call it fitwashing.